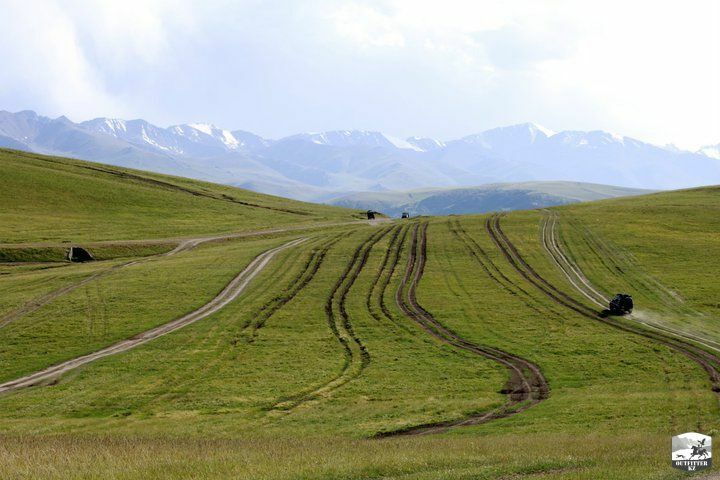 Outfitter KZ team is pleased to offer a one-day jeep tour with the elements of trekking to Assy plateau in Almaty region. As it was said by Matt Kowalski, the hero of George Clooney’s space saga "Gravity": "..these views are second to none ..". This applies 100% to the nature landscape of Assy plateau: transitions of valley landscape into the mountain ranges, along with crystal blue skies create an unusually mild feeling of oneness with nature. 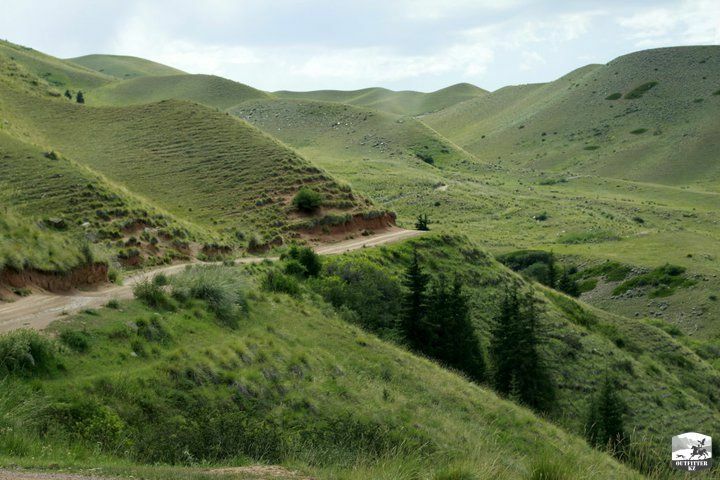 Assy Plateau is the most intense version of spending Sunday in the outskirts of Almaty in terms of a change in the landscape. A highland Valley with the length of about 50 kilometers, surrounded by mountain ranges from both the north and south sides. In the west, Turgen gorge smoothly transits into Assy plateau and in the east it flows into the valley of Bartogay reservoir. The fauna of the plateau is numerous in marmots, snakes, wolves are regular guests in winter, deers, bears, irbis, leopards, lynx, argali, Siberian mountain goats and Siberian stags. Different climate zones, abundant in Assy valley involve unpredictable weather. On the plateau the average air temperature in July reaches +16 ° C. In summer it often rains, sometimes precipitation is in the form of a snow. 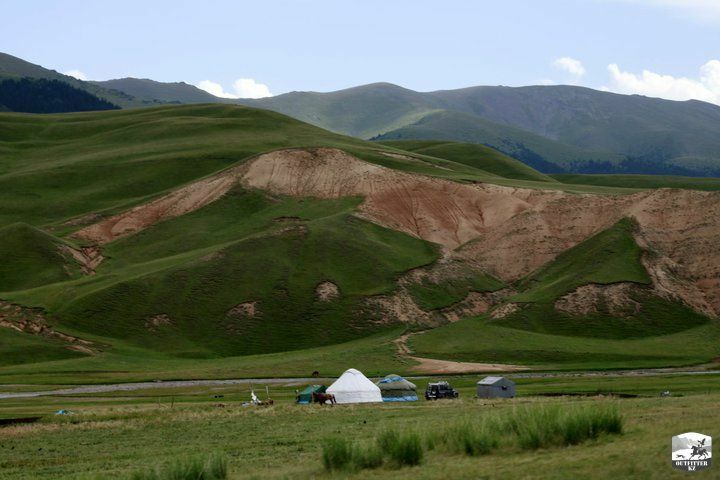 In Bartogay reservoir area in summer it is very hot and the sun temperatures can reach +50 ° C.
The journey begins with a visit to Turgen Valley, one of the favorite places for Sunday rest for Almaty residents and guests of the southern capital. Driving through the valley, you can visit the famous Turgen waterfalls (about two additional hours). 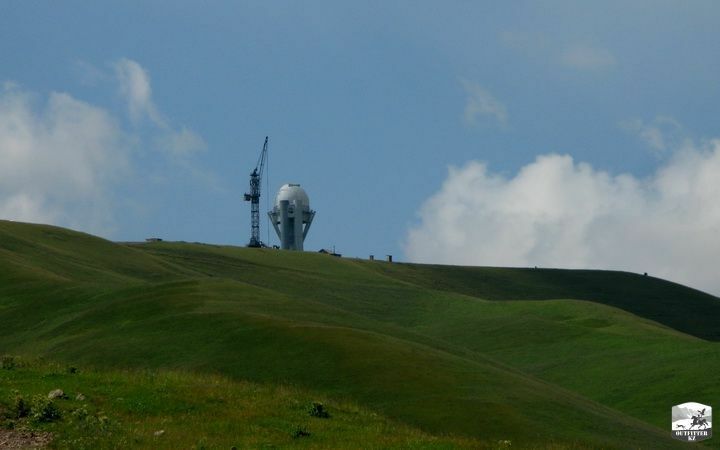 Next, the Valley goes to the top of the plateau, where the first sight is Assy-Turgen astronomical observatory. After visiting the observatory we move along the plateau to the east, repeatedly crossing the ford of the Assy river. Thus there is a change of unforgettable landscapes of the valley, the different climatic zones of the semi-desert to alpine meadows. 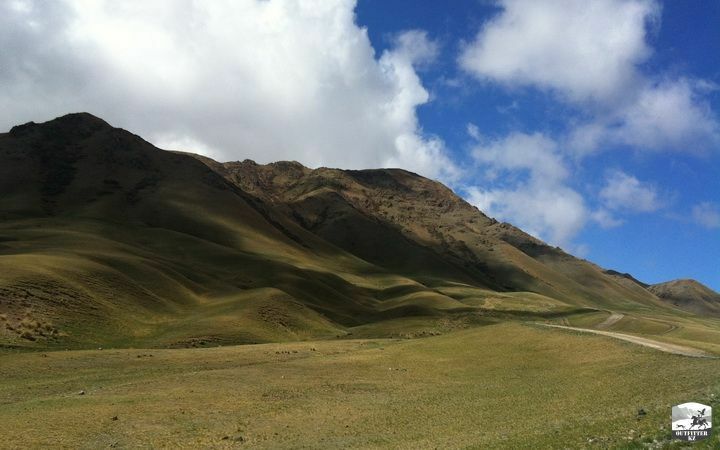 Elevation is insignificant, but the valley is at a high altitude of 2 400-2 800 meters above the sea level. In the middle of the road the landscapes of the valley plains are replaced by red rocks, which are located at the ancient rock paintings. Parking for dinner is carried out in a grove at the Assy River, in the shade of the trees. Through Kyzylauz and Karaarsha passes on the southern ridge of Sarytau to Assy plateau you can reach the valley of The Zhenishke river. There are roads to Kolsay lake from there. Sarytau ridge stretches along the entire route along the plateau from the southern side. Next Assy plateau gradually passes into the valley of Bartogay reservoir, which is located in the eponymous tract of Chilik river floodplain, partitioned with a 60 meter high rock dam, 330 meters long and complex culverts. On the way to Bartogai water reservoir there is a low pass (2050 meters) between Ortatau and Alabaytal mountains. 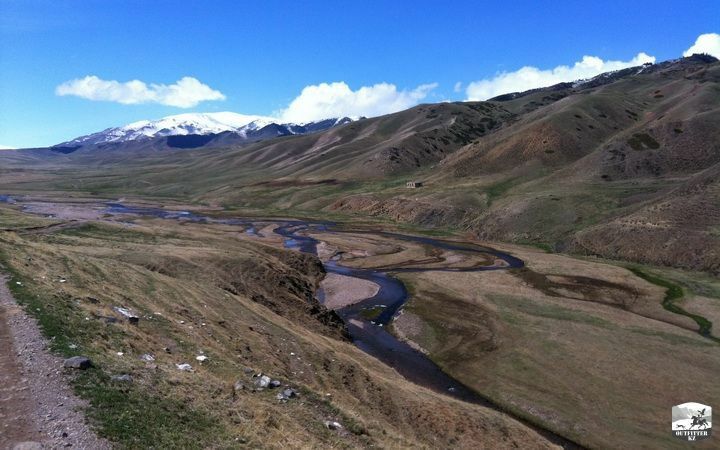 Chilik River is the largest river of Ili Alatau mountain range with the the length of about 300 km. Taking the start from the glaciers and connecting with other rivers, Chilik river flows into Kapshagai reservoir. Bartogai reservoir was put into operation in 1985. 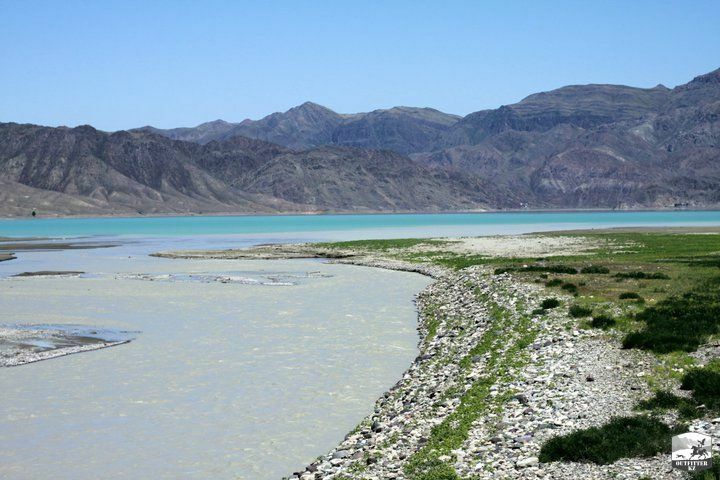 It was created to power the Big Almaty Channel (BAC), whose length is about 160 km. In its turn, BAC is used for irrigation of agricultural land. 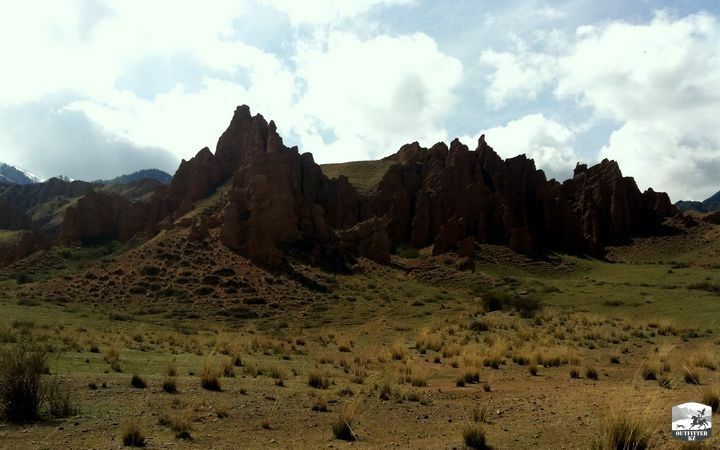 There are different variations of the route: trekking, jeep tour, a bike ride. As a weekend tour of a day a jeep tour with a few excursions is a preferred option. You can visit the plateau in a single day but the opportunity to be fully acquainted with the charms of the alpine valley is offered with a two-day jeep tour with some sightseeing walks. Cost: A trip by jeep - 65 USD per guest if a group of tourists consists of 3 persons. 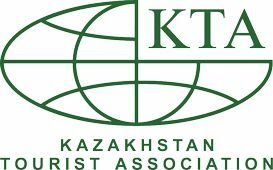 The price includes transport, services of English-speaking / Kazakh-speaking guide, eco-fee, meals (depending on options). 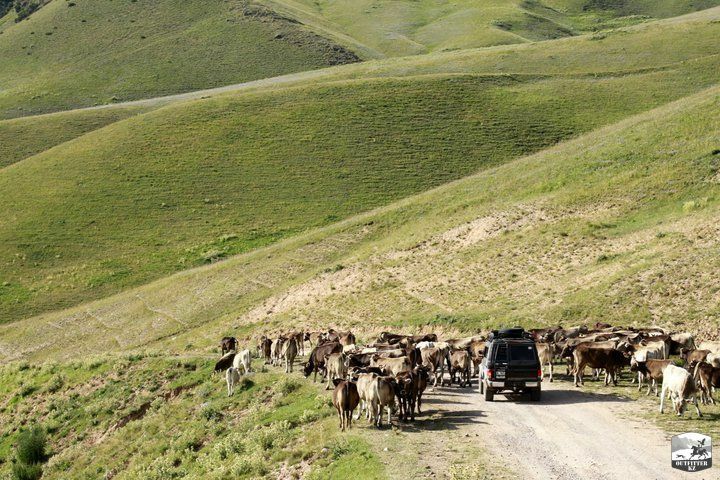 Distance: 100 km from the city of Almaty, the total length is about 350 km. Route Difficulty: minimum, suitable for physically healthy people of any age. Precautions: at least 2 liters of water per person, warm hats, sunglasses, shoes, trekking shoes (sneakers is also an option), warm clothes, clothes from the rain. Average travel time: 8-9 hours by car. Breaks for breakfast, lunch, rest in a grove, by the river, photo session: 2 hours. The total duration of the one-day itinerary: 10-12 hours. Departure Time: leaving the city early in the morning starting at 7 am. Asy plateau, Assy plateau, Turgen, Turgen valley, Bartogay reservoir, Kokpek, Sogety, Malybay, Ile-Alatau, Red rocks, Toraigyr, Tau Turgen, Issyk, Asy river, Assy river.